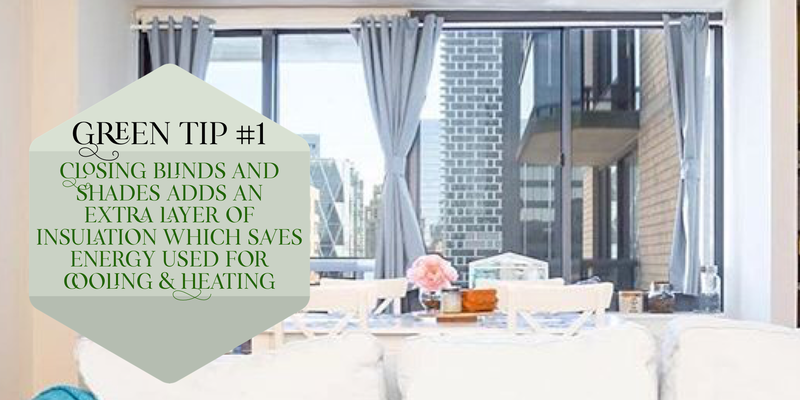 Green Tip #1: Closing blinds & shades adds an extra layer of insulation which saves energy used for cooling and heating. Green Tip #2: Need another reason to take the stairs? According to Otis, taking the elevator 2 floors takes as much energy as a full charge of a cell phone battery. 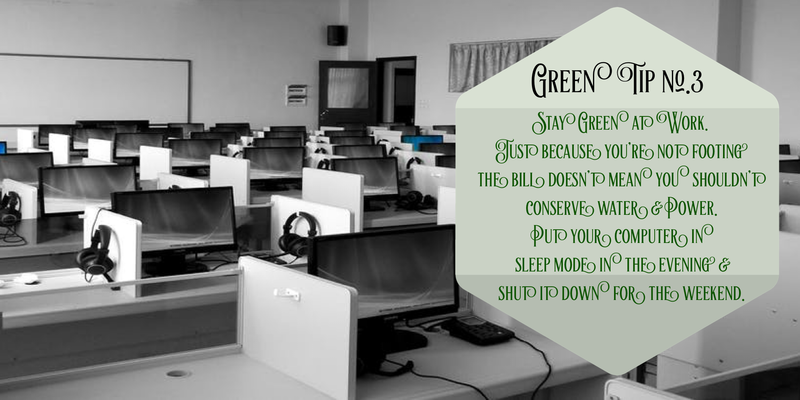 Green Tip #3: Stay Green at work. Just because you’re not footing the bill doesn’t mean you shouldn’t conserve water & power. Put your computer in sleep mode in the evening & shut it down for the weekend. 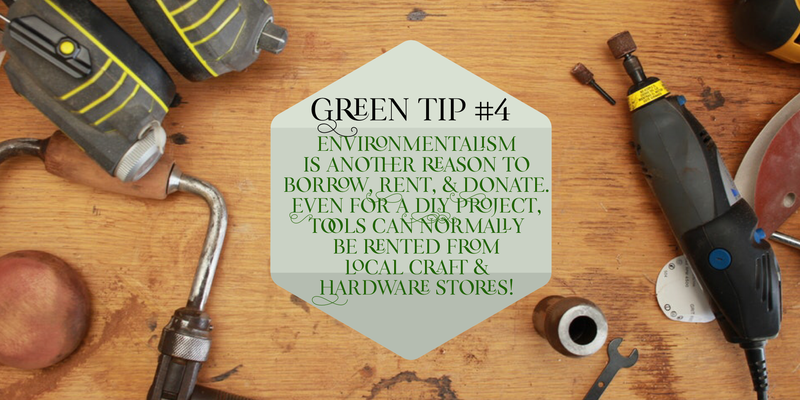 Green Tip #4: Environmentalism is another reason to borrow, rent & donate. Even for a DIY project, tools can normally be rented from local craft & hardware stores! Green Tip #: Fit to size! If you’re making a dish for one, use a toaster oven Toaster ovens takeLess energy than conventional Ovens. Microwaves use even less.